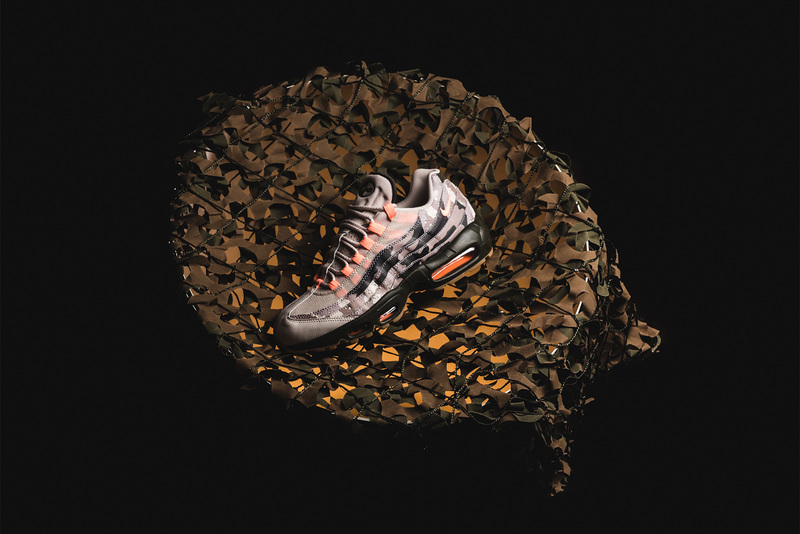 A Closer Look at the Nike Air Max 95 Essential "Sunset Tint"
Back in March, we shared a look at a camo-inspired edition of the Nike Air Max 95 Essential. Today we provide a closer look at the new release. The Nike Sportswear sneaker shares “Desert Sand,” “Sunset Tint” and black throughout as the signature visible Air Max units return to the sole. Various camo patterns are shared on the layered upper with the aforementioned ”Sunset” color accents making its way on the Swoosh branding. ”Desert Sand” is added to the outsole for the final stamp in its color scheme. Retailing for $160 USD, the Nike Air Max 95 Essential “Sunset Tint” is currently available at select Nike Sportswear retailers such as Sneaker Politics. In related news, you can also check out the “Obsidian” Air Max 95. Teased ahead of World Emoji Day. As part of three recently released tracks from the MC. The sportswear giant joins the fight for more environmentally-friendly products. Yu Haneishi debuts his first label, ANEI. Showcasing the label’s branded tees and fur-trimmed jackets.